Aerial view of American Prairie Reserve. Image courtesy of American Prairie Reserve. This article originally appeared in the Breakthrough Journal, a publication of the Breakthrough Institute. “Save the Cowboy, Stop American Prairie Reserve.” The banners first appeared in the small ranching community of Winifred, Montana (population 206). Then they started popping up elsewhere — along highway roadsides, at a local bar and grill, and even as bumper stickers. They depict a father and a son, both wearing cowboy hats, sitting on a fence looking out over the Big Sky Country of eastern Montana as the sun sets on the horizon. The banners were there to protest the efforts of the American Prairie Reserve, or APR, a nonprofit conservation organization based in Bozeman, Montana, whose mission is to “create the largest nature reserve in the continental United States.” The reserve, when it’s all said and done, would encompass 3.5 million acres of private and public lands along the Missouri River in northeastern Montana, an area larger than Yellowstone and Grand Teton national parks combined. The group seeks to remove the livestock that roam much of the landscape today and replace them with bison, elk, pronghorn antelope, prairie dogs, and other wildlife that Lewis and Clark saw when they passed through the region in 1805. APR is doing so in an ambitious and unique way: by buying up private ranches one by one. While other organizations, such as The Nature Conservancy, have long acquired land for conservation purposes, none have done so at the scale proposed by APR, and few have had the goal, as APR does, of retaining ownership and management authority of the land. APR is stitching together a landscape that has been fragmented, fenced, and grazed for more than a century and, along the way, stress-testing an innovative new model of rewilding in America. If large-scale rewilding projects are to succeed, they must adapt to or overcome significant cultural, economic, and legal barriers that make rewilding complex on the ground. Founded in 2001, APR has quickly transformed from a lofty vision into a reality. The reserve now totals 405,200 acres — it has purchased 94,600 acres of private lands and acquired grazing leases on more than 310,600 acres of public lands. It’s a work in progress: a 5,000-acre parcel here, a 20,000-acre parcel there. But the group is well on its way to stitching together an “American Serengeti” of uncultivated native prairie for the benefit of wildlife and the public. The reserve is already home to almost 900 bison, which were first reintroduced by APR in 2005 after a century-long absence from the region. The idea of an American Serengeti in northeastern Montana, however, doesn’t sit well with everyone. APR’s efforts are controversial, to say the least, especially in the state’s rural communities, which have relied on agriculture and ranching for generations. 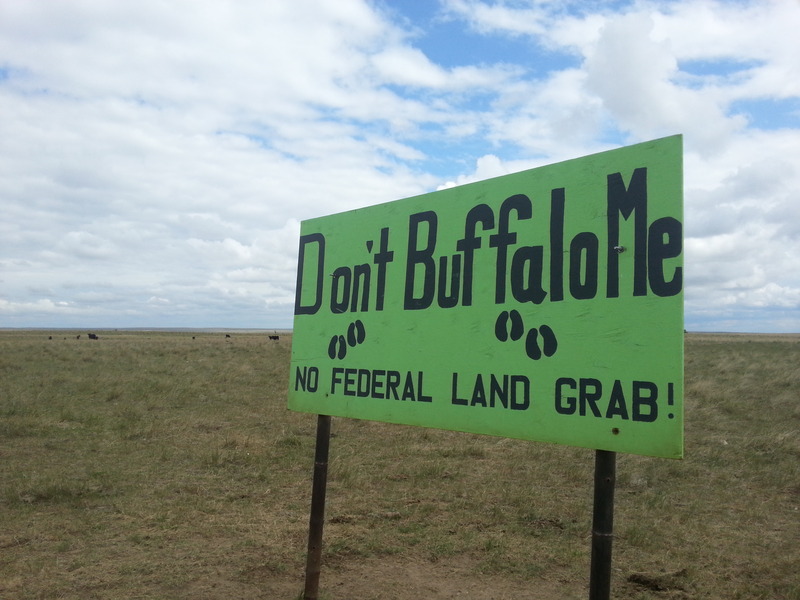 Drive the dirt roads throughout the reserve area and that controversy becomes clear: “Don’t Buffalo Me,” reads one homemade billboard. Below, it says, “No Federal Land Grab.” APR, a nonprofit funded entirely by private donations, only purchases land from willing sellers at market value and uses no public funds or coercive power of government. 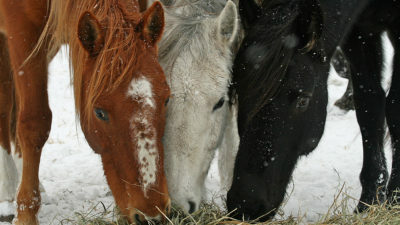 But that does little to ease the concerns of some local ranchers. The controversies over APR illustrate the challenges facing efforts to rewild large areas of the United States — even when those efforts are voluntary, decentralized, and seek to work with the communities most impacted by rewilding. As the experience of APR demonstrates, if large-scale rewilding projects are to succeed, they must adapt to or overcome significant cultural, economic, and legal barriers that make rewilding complex on the ground. In an important sense, APR is acting as the grassroots agent of change that is bringing nature back to areas that are no longer needed for agriculture or livestock production, and they are doing so in a region that is already one of the least populated places in the Lower 48 states. Technological innovations now allow us to produce more output while using less land and fewer people, and one result has been to reshape the western United States from a region dependent on natural resource extraction to one more focused on conservation, natural amenities, and recreation. APR is seizing on these trends to return a large swath of prairie back to nature by restoring native grasses, reintroducing bison, and providing important wildlife habitat. The work is innovative and important, but also incredibly messy and complicated. APR is working to overcome those challenges and, along the way, provide a proof of concept for pragmatic rewilding in the 21st century. It’s a case study that offers useful lessons for conservationists of all stripes — from those who call for top-down political and regulatory efforts to set aside protected areas or impose regulatory mandates, to others (like myself) who favor bottom-up approaches and market-based incentives over political conflicts and regulatory restrictions. The story of APR offers important insights and counterpoints for both perspectives to consider, and it forces us to grapple with how large-scale conservation can and should be accomplished in a way that addresses the needs and concerns of the communities it most directly impacts. The focus on this region of Montana is no accident. Even after centuries of settlement in North America, the rolling plains above the Missouri River in northeastern Montana remain one of the largest areas of uncultivated prairie in the world. For more than a century, ranchers have grazed cattle and sheep on the land — the ancestral home of the Assiniboine, Gros Ventre, Sioux, Blackfeet, Cheyenne, and other Native American tribes — but little of it has been plowed under. 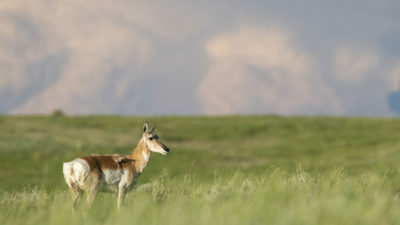 In 1999, The Nature Conservancy identified this part of the Northern Great Plains Steppe ecoregion as a top priority for conserving grassland biodiversity, calling it “one of the largest intact landscapes in the Great Plains.” Shortly after, APR was formed with the explicit goal of protecting it. Prairies like this were generally overlooked during the great wave of national parks, national forests, and other federal land designations of the late 19th and early 20th centuries. Such designations were generally limited to mountainous areas that were relatively unproductive for western settlement, or to forest reserves that could provide the nation a steady supply of timber. Prairies, after all, were meant to be settled and farmed. And, indeed, many of them were. Throughout the era of westward expansion, millions of acres of prairie land were put to the plow. For much of the 19th century, US land policy encouraged this western expansion by disposing of vast amounts of federal landholdings to states, railroads, and settlers. One of the primary means was through homesteading. The Homestead Act of 1862 first limited land claims to 160 acres and required settlers to occupy the land for five years and make it productive. Ultimately, millions of acres were settled through homesteading and other land grants. These land disposal policies continued until the early 20th century, when the US government reversed course and began retaining its remaining public lands to be managed by federal agencies. Today, as a result of this half-completed land disposal process, northeastern Montana is a patchwork of public and private lands. The region is comprised of relatively small parcels of private property (lands that were deeded to settlers under the Homestead Act and other grants) surrounded by larger acreage of public lands (either areas that were not viable enough to be claimed by homesteaders, or failed homesteads that the government later reacquired). Most of these public lands are now managed for multiple uses by the Bureau of Land Management (BLM), part of the US Department of the Interior. This mosaic of land ownership across the prairie underscores a significant quirk of US history: the federal government simply never granted homestead claims large enough to support a viable agricultural operation in the arid American West. A 160-acre farm may have been viable in Ohio or Virginia, but it was ill-suited for the arid landscape of eastern Montana. Even the expansion of homestead claims to 640 acres in 1916 was not enough in many parts of the arid West to sustain livestock on a year-round basis. Thus, with land claims too small to support an agricultural or livestock operation, many homesteads failed. Those that succeeded did so by grazing livestock on large amounts of nearby public lands, a practice that continues today. This interconnectedness of private and public lands creates several unique challenges, as well as opportunities, for APR. One is the longstanding use of public lands in this region for livestock grazing, first by custom and later under formal leases granted by the 1934 Taylor Grazing Act. 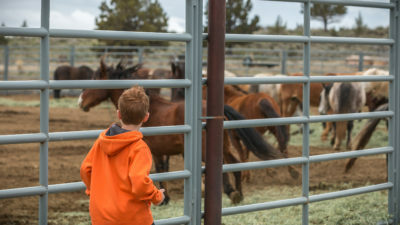 Under this system, ranchers own relatively small private “base properties” — the lands claimed as a result of the homestead process — but have permits to graze livestock on nearby public land allotments, often comprising thousands of acres. This ability to graze livestock on public lands is essential to the viability of ranching in this region of Montana and much of the American West. 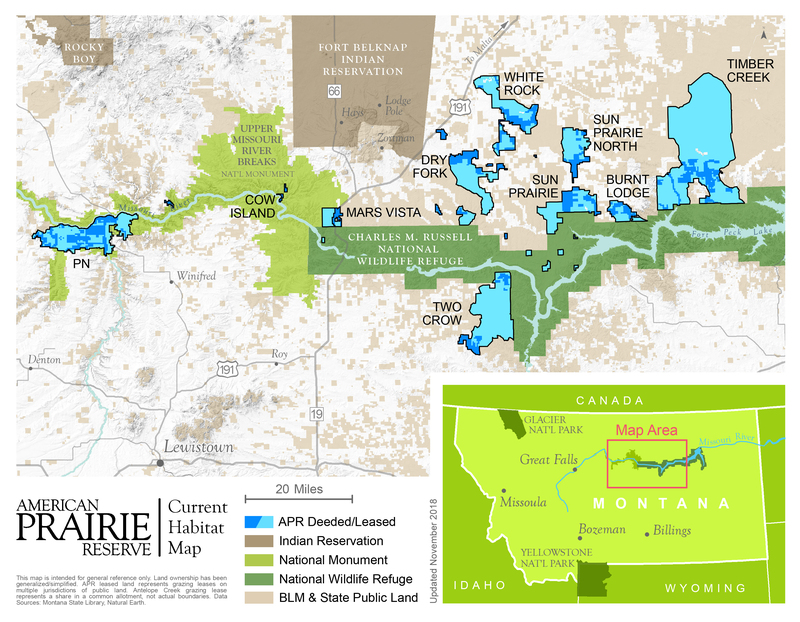 APR purchases base properties and, by doing so, secures the grazing leases to large expanses of adjacent public lands as well. In all, the group aims to acquire 500,000 acres of private lands that are connected to 3 million acres of public lands. It then seeks to tear down many of the fences that delineate the boundaries, as well as the interior fences that traditionally separated pastures, to re-create a vast landscape through which wildlife, especially bison, can travel uninhibited. Today, bison are considered by some scientists to be ecologically extinct on much of the Great Plains. The populations that do exist are small and thus no longer play a foundational role in shaping the biodiversity of the prairie. APR intends to restore as many as 10,000 bison to its lands. In addition, the reserve aims to support the reintroduction of other wildlife that were decimated after European settlement. And some of those species are already on their way. 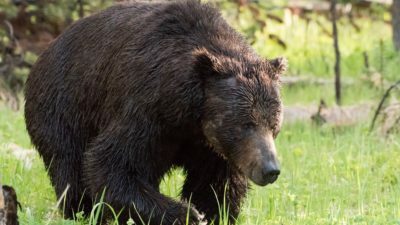 Grizzly bear populations are rapidly expanding out of Yellowstone and the Rocky Mountain Front and onto the farms and ranches of the Great Plains, where they once roamed in great numbers. Wolves are on their way as well, if not already there. Last year, a rancher shot and killed a female wolf near Denton, Montana, just 30 miles from one of the reserve’s properties. It’s only a matter of time before these species expand farther, much to the concern of some local ranchers. Ranchers’ suspicion of APR is understandable. Viewed within the context of ongoing rural depopulation trends, the whole effort can be seen as a parting shot at ranchers’ way of life, bankrolled by wealthy, mostly out-of-state, environmentally-minded donors. The population of Phillips County, Montana, where most of APR’s landholdings are, has declined by 10 percent since 2000 and by more than 50 percent since 1920. Nearby counties have experienced similar declines. To the extent that the creation of a nature reserve exacerbates these trends, some ranchers fear the effort may be the final straw for many of the region’s small agricultural communities. Every ranch APR buys is seen as a loss by these agricultural communities — fewer kids in the local schools, fewer parents serving on the school board, fewer church members and volunteer firefighters. Every property taken out of agriculture also means fewer sales of tractors are other equipment, which could result in fewer people supporting local businesses. There’s a growing sense in the rural communities of eastern Montana that wealthy environmentalists and coastal elites — with the help of the federal government — are eager to kick them off the land. These trends, to be fair, have been going on for a long time, and APR is not the sole — or even the primary — cause of them. There is a case to be made that APR is simply bearing the brunt of the blame for broader economic forces that have frustrated these regions for decades: from the mechanization and intensification of agricultural and livestock production to global trade policies. But there’s also a growing sense in the rural communities of eastern Montana that wealthy environmentalists and coastal elites — with the help of the federal government — are eager to kick them off the land. That fear is not without justification. In 1987, two academic urban planners from Rutgers, Frank and Deborah Popper, gained national attention for their proposal to create what they called “the Buffalo Commons” — a 139,000-square-mile nature preserve on the Great Plains. The plan would, in their minds, rectify the past wrongs of the homesteading era that caused so much of this great land to be plowed under and developed. Settlement of the region, they wrote, was “the largest and longest-running agricultural and environmental miscalculation in American history.” They proposed that the region instead be “returned to its original pre-white state” and “in effect, deprivatized.” Buffalo would roam free across the plains, which would “become almost totally depopulated” over the next generation. The sweeping government efforts on the scale envisioned by the Poppers didn’t come to fruition, but some heavy-handed decisions were forced upon the region. 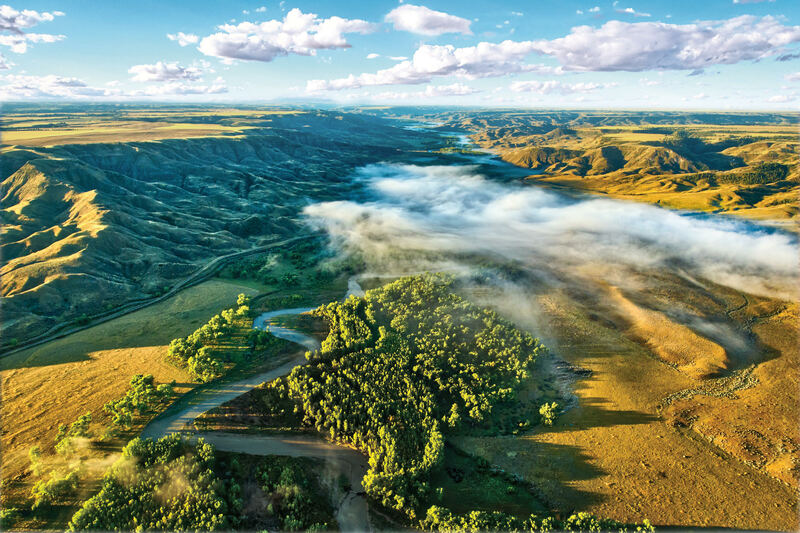 In 2001, in the final days of his administration, President Bill Clinton designated the 377,000-acre Upper Missouri River Breaks as a national monument in northeastern Montana. The land was designated under the Antiquities Act of 1906, which allows presidents to single-handedly declare monuments on existing public lands and restrict current and future land uses, with little or no local input. The monument was — and still is — widely opposed by many ranchers in the region. And although the designation allowed for the continuation of existing grazing permits, some ranchers viewed it as a “federal land grab” that was designed to ultimately displace them. It’s not surprising, then, that ranchers in the Great Plains are skeptical when environmentalists march in and tell them how the land in their region should be managed. Debates over land use in much of the American West have often pitted environmentalists against ranchers. Environmental groups have advocated to cut or weaken ranchers’ federal grazing privileges without compensation, and some groups pursue relentless strategies of litigation to reduce grazing on public lands in favor of environmental protection. And while other factors have contributed to ranching’s decline — including technological innovation, agricultural intensification, globalization, and greater efficiencies and consolidation in the beef industry — these confrontational approaches have contributed to a 55 percent decline in the number of livestock permitted to graze on public lands since the 1950s. Because public land grazing is so critical to ranching in much of the American West, including northeastern Montana, these tactics have understandably been perceived as an assault on ranchers’ way of life. The group has also launched an innovative program designed to work with ranchers to offset the costs of wildlife in the region and to encourage greater wildlife tolerance. Wild Sky Beef, a for-profit company started by APR and now led by my former PERC (Property and Environment Research Center) colleague Laura Huggins, sells grass-fed beef throughout the country and uses its profits to provide payments to ranchers in the region who implement certain conservation practices. 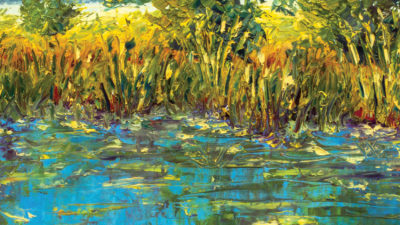 Values are attached to each conservation-oriented management practice. For example, ranchers who install wildlife-friendly fencing receive a payment. Ranchers who agree not to shoot or poison prairie dogs and coyotes get another payment. Agreeing not to till the soil earns yet another payment. The program also encourages ranchers to coexist with large carnivores. Enrolled landowners can earn per-species payments for images captured by motion-sensing camera traps set up on their properties. Every image captured of a cougar, black bear, or other predator earns ranchers a payment. It’s a creative program that has the potential to influence ranchers’ tolerance of carnivores and other wildlife across the region. Since 2014, Wild Sky has provided Montana ranchers with more than $200,000 in conservation incentive payments. 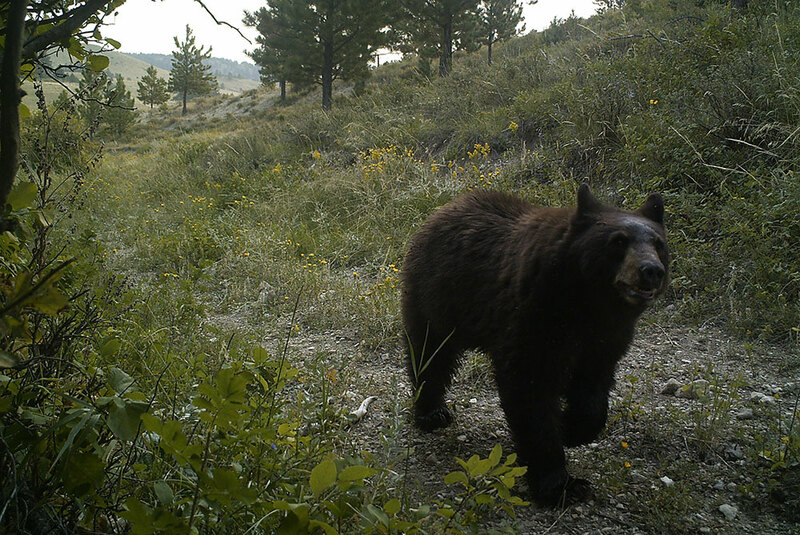 A camera trap photo from ranchers enrolled in the Wild Sky program. Those efforts, while important, are not enough to ease the concerns of some rural residents about APR’s expansion. One persistent fear is the specter of free-roaming “wild” bison, which has long been a controversial topic in Montana. The threat of brucellosis — a disease carried by bison (and also elk) that can be transmitted to livestock — has also been an ongoing concern for the state’s ranching industry, especially near Yellowstone. Concerns over the damage that could be caused by wild bison crossing onto other private lands have also been raised by many ranchers (hence, the “Don’t Buffalo Me” signs found throughout the APR target region). Although APR’s bison are managed as wildlife, as a legal matter, they are privately owned domestic livestock and subject to the same rules and regulations as other livestock in Montana. As such, all of the reserve’s bison have been sourced from certified brucellosis-free herds and are vaccinated and disease-tested like other livestock in the state. APR has also gone to great lengths to install proper fencing to keep bison contained within the reserve, including a solar-powered electric wire strung across all exterior fences. Rewilding began as a niche conservation movement several decades ago and has gained popularity in recent years. The idea is straightforward: to restore native plants and animals (or the closest living approximations to them) to landscapes where they once thrived. The more ambitious rewilding projects envision the return of the large mammals that inhabited the land centuries ago, such as wild horses, wolves, and elephants — with some even contemplating the revival of woolly mammoths, mastodons, and giant armadillos. As a bold and ambitious conservation idea, however, it lacks real-world proofs of concept. Moreover, such projects are often envisioned as top-down schemes to be implemented by federal agencies, with only vague mention of accommodating the needs and desires of the local communities that would most directly bear the costs. The experience of APR suggests that for rewilding to succeed, it likely needs to come not from the top down, but from the bottom up — and even then, it will face significant challenges. It requires active management, innovative contracting arrangements, and local outreach and community engagement. And all the while, it must navigate complex socioeconomic challenges that have the potential to thwart even the best-laid rewilding plans. Writing for this journal in 2015, Martin Lewis noted that “successful, broad-based rewilding probably requires the abandonment of the idea that it should be imposed on the basis of grand schemes concocted by conservation biologists or government agencies.” He called instead for a “more ad hoc, from-the-ground-up vision” in which “the stewardship of wildlife and wild areas would necessarily vary tremendously from place to place, reflecting local cultural predilections as well as demographic and economic realities.” APR’s efforts are just that. 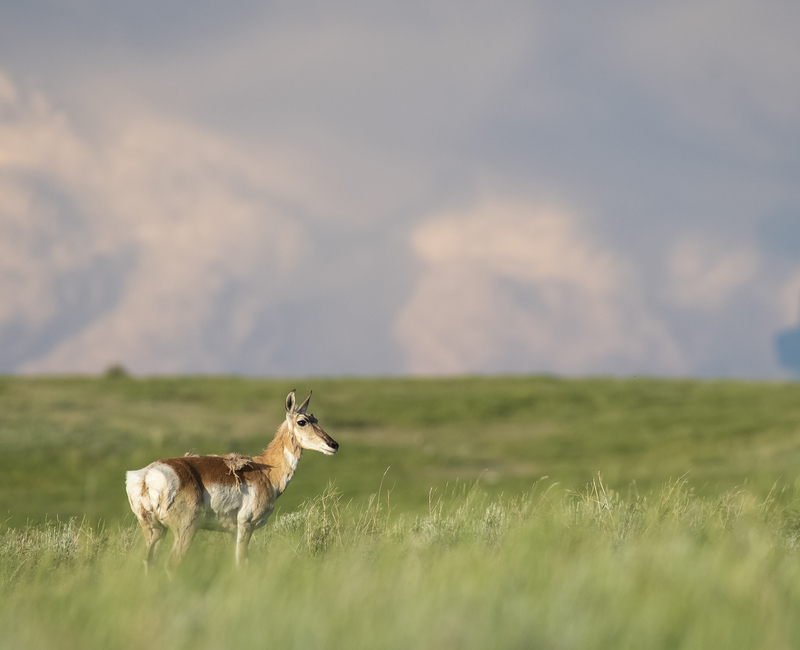 By acquiring land through voluntary acquisitions and working with other ranchers in the region to increase wildlife tolerance, the group is forging a pragmatic approach to rewilding a great American landscape. And, of course, they are adapting as they go. Sometimes that has meant working with Native American tribes in the region who also have an interest in bison restoration, hosting community meetings to address concerns, providing hunting opportunities for nearby residents, and even sponsoring local rodeos. Lewis urged that “bottom-up methods are better suited to accommodate the diverse needs and desires of multiple constituencies.” Citing the success of South Africa’s Kruger National Park and its adjoining regions, which combine a similar mix of interconnected public and private management, he noted that “private land ownership does not run intrinsically counter to the restoration of nature on a truly grand scale.” Like APR, the Kruger region was also once made up of marginally viable cattle ranches that are now managed as private nature preserves. In fact, it is the more flexible, creative management that is possible on private lands that can lead to more effective approaches to rewilding. The experience of APR suggests that for rewilding to succeed, it likely needs to come not from the top down, but from the bottom up. Even so, despite the advantages of bottom-up rewilding projects like APR, challenges remain — and some of them have little to do with the cultural or economic realities of the region. One of APR’s primary challenges is navigating the morass of federal laws and legal institutions that govern the use of public lands in the region. These institutions can present myriad obstacles to pragmatic rewilding of the American West — particularly to the extent that they limit the legally acceptable uses of the remaining public lands in the region. History helps illustrate why. In the American West, the institutions that emerged in the 19th and 20th centuries to manage natural resources centered around the assumption that the resources would be put to productive uses. Rights to natural resources were generally defined and maintained based on “use” of the resource — for example, by using water to irrigate crops, by making the land productive to “prove up” a homestead claim, or by extracting oil and gas or mineral deposits. “Use it or lose it” is a common phrase associated with western water law, which requires that water-rights holders put water to a legally defined “beneficial use.” What constitutes a “beneficial use,” however, has traditionally been limited to extractive or consumptive activities. Federal grazing policy is no different. The grazing leases that APR acquires when it purchases private base properties come along with a use-it-or-lose-it provision. Permit holders must graze livestock to maintain the leases, which otherwise could be transferred to a rancher who would make use of the lease. The Taylor Grazing Act, which provides the foundation of the BLM’s grazing program, even states that permits are limited to those who are “engaged in the livestock business.” For the longstanding historical reasons described above, the institutions that govern grazing on federal lands were designed to provide access to forage on public rangelands for one narrow purpose: to feed domestic livestock. Such a requirement is clearly an obstacle for innovative environmental groups such as APR that seek to replace livestock with other rewilded species. If they can’t acquire the leases and use them to support the new species, they’re out of luck. APR’s project is possible thanks to the fact that bison are considered a form of livestock in Montana, and therefore can satisfy the livestock grazing requirements of the group’s federal grazing leases. When APR acquires a property with a public grazing lease, the group applies for a change-of-use permit from the BLM to allow bison to graze there instead of cattle. Often, the group also applies for greater permit flexibility, such as permission to graze year-round instead of seasonally and to remove interior pasture fences on the allotments. The BLM then determines the appropriate amount of “use” authorized on each allotment. Given the nature of this federal grazing system, the question is whether APR’s model is scalable to other regions. In practice, the use-it-or-lose-it requirement of federal grazing permits likely limits the scope and form of rewilding that can be accomplished through private land acquisition or creative contracting with landowners. For example, it is unlikely that a similar bottom-up rewilding model would work in, say, Nevada — which is also a mix of private and public rangelands — if the goal is to recover desert tortoises or other wildlife species. And even though APR is grazing bison, the group is still experiencing challenges and delays to this change-of-use permitting process. The group is currently awaiting approval to expand its bison herd onto 18 of its leased allotments of federal land — a process that has taken several years of paperwork, public comment, and bureaucratic assessment from the BLM — with no end in sight. In short, the success of pragmatic, bottom-up rewilding efforts may require reforms — or creative adaptations — to the legal institutions that govern natural resources in the West. 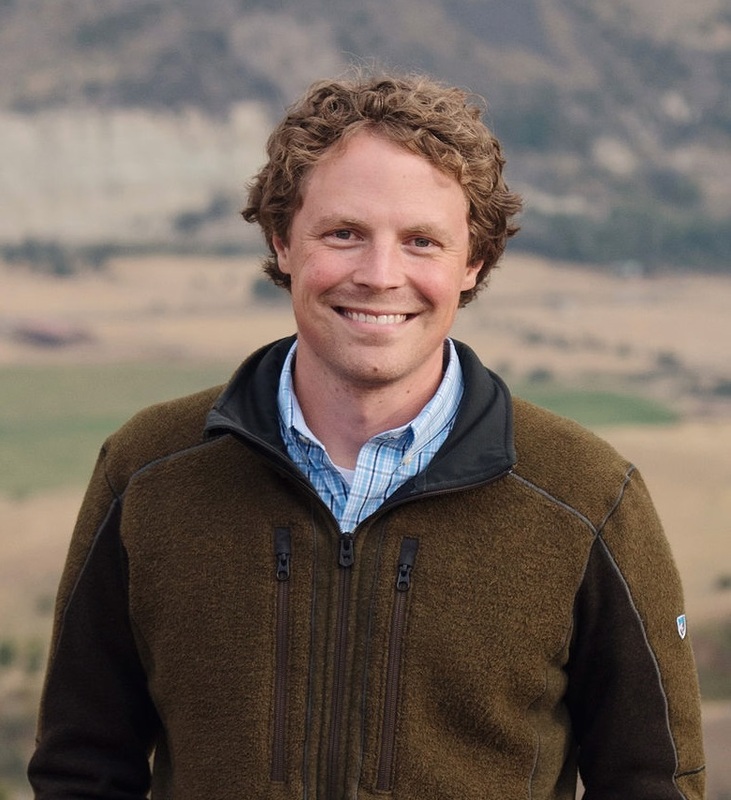 Entrepreneurial environmental groups generally cannot simply purchase federal grazing leases, buy out active energy leases, or outbid loggers on federal timber sales — nor can they wrest management authority over wild animals from state wildlife agencies, which are more focused on managing wildlife populations for social tolerance than on fulfilling the ambitious goals of today’s rewilding advocates. (With the exception of bison, the wildlife within APR’s borders are ultimately owned and controlled by the state of Montana.) These issues ultimately must be resolved in the political arena rather than negotiated locally, and in practice, they present serious barriers to pragmatic rewilding efforts like APR’s. Rewilding is a relatively new endeavor, and we’re still learning how to do it. Thanks to technological innovation, economic growth, and agricultural intensification, we are taking pressure off large swaths of land. As a result, the opportunities for rewilding are increasing. Although APR doesn’t describe it in these terms, these broad forces are ultimately what make projects like theirs feasible. In essence, by decoupling economic growth from our use of natural resources, we are making it possible to rewild large expanses of the United States as well as other parts of the world. But it’s one thing for the forests of New England to return on their own, as they did after many farms were abandoned in the region in the 19th century. It’s quite another for bison, grizzlies, wolves, and other large species to return to the northern Great Plains. For that to become a reality, regions like northeastern Montana need to be actively rewilded. Native grasses need to be planted. Bison need to be reintroduced. And wildlife tolerance needs to be promoted, often requiring creativity. The people who will bear the consequences of rewilding need to be included in the effort, and somehow compensated in innovative ways. And, crucially, lands that have been traditionally used for agriculture or ranching will have to be acquired or otherwise managed in different ways. 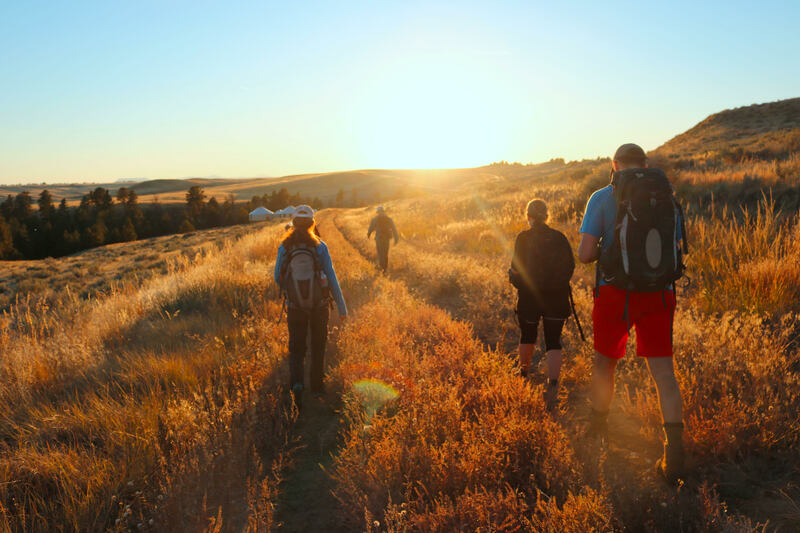 Hikers at American Prairie Reserve. Image courtesy of American Prairie Reserve. The fundamental challenge for pragmatic rewilding efforts, then, will be to find ways to turn wildlife into an asset instead of a liability for the landowners and communities that bear the costs of rewilding. Some creative conservation groups have made progress on this issue in recent years. APR’s Wild Sky Beef initiative — making incentive payments to landowners who engage in wildlife-friendly management practices — is one innovative model, though it is still in its early stages. Defenders of Wildlife, another conservation group, has compensated ranchers in the Yellowstone region whose livestock were killed after wolves were reintroduced to Yellowstone in the 1990s. The Nature Conservancy pays rice farmers in California’s Central Valley to provide migratory bird habitat. And the Environmental Defense Fund has developed a habitat exchange program in several states that pays farmers to enhance habitats for monarch butterflies — a species that, after decades of population declines, needs to be “rewilded” in vast areas of the United States. But for efforts like those of APR to work on a large scale, they will require not only creative entrepreneurship but also policy changes that enable more voluntary, exchange-based solutions. The institutions that govern many state and federally-managed natural resources in the American West were developed at a time when “use” was the basis for defining and maintaining rights, creating obstacles to the voluntary acquisition of ranchers’ grazing permits for conservation purposes. If rewilding entails the reintroduction of wild bison, camels, horses, or even Asian elephants (a close relative of the American mastodon), then these institutions will have to evolve to allow for other forms of valid use. Simply put, if such rights cannot be acquired for rewilding-oriented conservation, then the bottom-up approach is not feasible in many regions of the United States. The key question is whether rewilding will (or should) come from the top down or the bottom up? For a libertarian, market-oriented environmentalist like myself, who favors voluntary, rights-based solutions to disputes over environmental and natural resources, the APR story is instructive for several reasons. First, it powerfully illustrates the potential to achieve landscape-scale conservation by embracing voluntary exchange instead of zero-sum political or regulatory conflict. APR’s success to date is proof that these forces can be channeled to achieve a large-scale land use transition that recognizes the property rights of local people, accomplishes its goals through market-based exchange rather than regulatory or political means, raises funds from a broad base of supporters, and taps into people’s deeply rooted passions for conservation to achieve meaningful, on-the-ground environmental restoration. Conservationists have underappreciated, and underestimated, the potential for such strategies to succeed at a landscape scale. Yet the story is also a cautionary one for proponents of environmental markets. Despite APR’s free-market approach to acquiring land rights and to compensating other local ranchers for the impacts of wildlife, its project remains remarkably divisive. Whereas an environmental economist might emphasize the welfare-enhancing benefits of a simple market exchange in which an individual rancher sells land to a conservation organization, the experience of APR paints a more complex picture of the broader distributional consequences. That is, even when such rights are traded voluntarily, the gains can seemingly be swamped by external factors that have more to do with preserving agricultural heritage, traditional ways of life, and the social fabric of the region’s small ranching communities. Moreover, as a bottom-up endeavor, the best strategy — at least initially — may be for rewilded species to not actually be “wild” in the eyes of the law. In many cases, private ownership of rewilded animals may be necessary for acceptable management, especially for large and potentially destructive species. For example, the notion of “wild” bison in Montana is controversial and widely opposed by ranchers. However, APR owns its bison, which are legally classified as domestic livestock while being managed by the group as a wild herd. As a result, APR incurs the costs of managing the bison and bears responsibility for any costs the bison impose on neighboring landowners, whether broken fences, crop damage, or trespass. This arrangement gives APR the right incentives to be good neighbors and wise stewards of the species, and it minimizes the risks for neighboring landowners. While that may not fulfill the most romantic visions of rewilding that some have hoped for, it’s likely the most practical way forward for such efforts. If rewilding is going to work, it will likely have to look a lot like APR’s pragmatic model — with its awkward and sometimes messy combination of public and private management, its innovative incentives for conservation and wildlife tolerance, its commitment to acquiring rights voluntarily through market exchange, and its bottom-up, nongovernmental approach. And even then, this much is certain: it will still be incredibly controversial. See, e.g., Zeynep K. Hansen and Gary D. Libecap, “The Allocation of Property Rights to Land: US Land Policy and Farm Failure in the Northern Great Plains,” Explorations in Economic History 41, no. 2 (2004):103–29; and Gary D. Libecap and Zeynep K. Hansen, “‘Rain Follows the Plow’ and Dryfarming Doctrine: The Climate Information Problem and Homestead Failure in the Upper Great Plains, 1980–1925,” The Journal of Economic History 62, no. 1 (2002):86–120. Deborah Epstein Popper and Frank J. Popper, “The Great Plains: From Dust to Dust,” Planning, December 1987, http://www.planning.org/25anniversary/planning/1987dec.htm. Although ranchers pay relatively low fees to graze livestock on federal lands (the fee in 2018 was $1.41 per animal unit month), the value of grazing permits is capitalized into the sale price of the private base property. 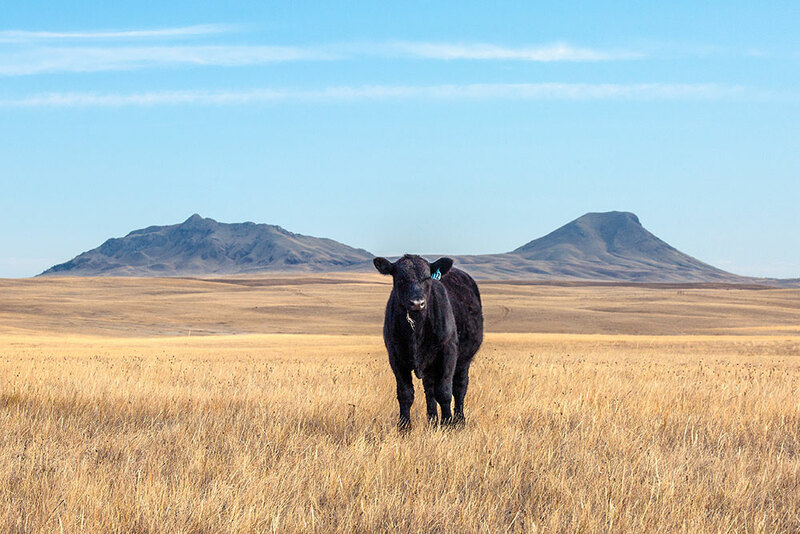 When APR acquires base properties, it also receives the public grazing permits that are tied to that particular base property, and the value of those permits is reflected in the sale price. Bryan Leonard and Shawn Regan, “Legal and Institutional Barriers to Establishing Non-Use Rights to Natural Resources,” Natural Resources Journal (in press), https://www.perc.org/2018/12/05/legal-and-institutional-barriers-to-establishing-non-use-rights-to-natural-resources/. For a description of the “beneficial use” requirements for water rights in various western states, see Brandon Scarborough and Hertha L. Lund, Saving Our Streams: Harnessing Water Markets (Bozeman, MT: Property and Environment Research Center, 2007). The outcome of this BLM change-of-use process is uncertain. Several years ago, APR received BLM permission to convert two of its public-land grazing leases from cattle to bison, but its current application to convert 18 additional leases to year-round bison grazing has drawn controversy from local ranchers and livestock groups, and the environmental review process associated with the permit change has proven to be significant and costly. See Rob Chaney, “Where the Buffalo Roam, Montana Cowboys Dig in Their Heels,” Missoulian, December 1, 2018. 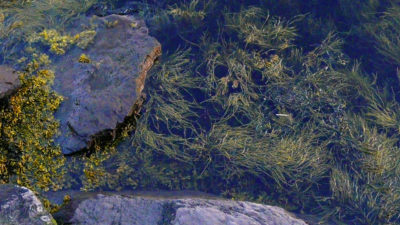 Some environmental groups have tried to acquire such rights, but federal and state policies often prevent them from holding them for nonuse purposes. See Leonard and Regan, “Legal and Institutional Barriers.” See also Reed Watson, “Public Wildlife on Private Land: Unifying the Split Estate to Enhance Trust Resources,” Duke Environmental Law & Policy Forum 23: 291–321 (Spring 2013). For decades, free-market environmentalists have been critical of heavy-handed, command-and-control-style approaches to conservation that depend entirely on government bureaucracies, regulatory restrictions, and political institutions. A more decentralized, rights-based approach to conservation first considers whether markets should be used to solve environmental problems and then asks how the transaction costs associated with using markets could be reduced, either by better defining property rights or by reforming the institutions that govern the allocation of rights in order to encourage entrepreneurial, exchange-based solutions. See, e.g., Terry L. Anderson and Dominic P. Parker, “Transaction Costs and Environmental Markets: The Role of Entrepreneurs,” Review of Environmental Economics and Policy 7, no. 2: 259–75 (2013). See also Terry L. Anderson and Gary D. Libecap, Environmental Markets: A Property Rights Approach (Cambridge University Press: 2014). Shawn Regan is a research fellow and the director of publications at PERC. He is the executive editor of PERC Reports.